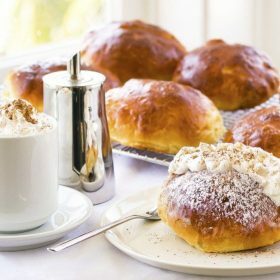 These cream-filled sweet buns from the region of Lazio were traditionally made for Easter as a treat after the season of Lent. Men also hid rings or other small golden objects in them and offered them to their future wives on Valentine’s Day. Although these buns are a bit more elaborate, the original recipe from ancient Rome simply involved flour, honey, eggs, and fat. Today, maritozzi are an excellent breakfast bread. When making these, make sure you whip your own fresh cream; it makes all the difference and only takes a few minutes. You can use the extra cream to top your espresso, which is called espresso con panna, another special treat that I hope becomes a morning tradition in your home. When you are in Rome, don't forget to try maritozzi con la panna! 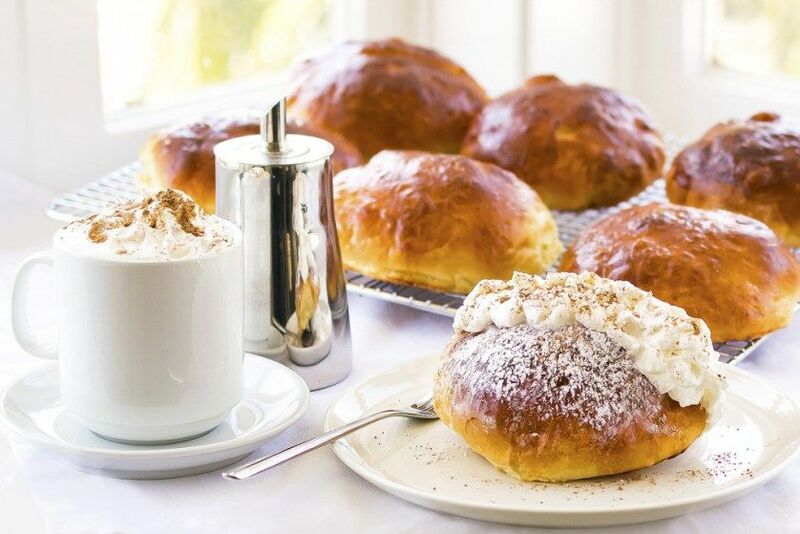 These sweet buns with shipped cream are an authentic treat for the perfect Roman breakfast! Add the yeast to 1/4 cup of lukewarm water. Add the yeast, egg yolks, milk, sugar, vanilla, and salt and stir until you get a sticky smooth dough, about 10 minutes. Transfer to a lightly floured large plastic container with lid, and let it rise for 4 hours. With lightly oiled hands, form the dough into little ping-pong-sized balls and place on the baking sheet. Cover gently with plastic wrap and let rise in a warm place for an additional 2 hours. When doubled in size, brush the buns very gently with the egg whites, covering the entire surface of the buns. Bake for 20 to 22 minutes. Remove and let cool on a wire rack. Measure the cream and powdered sugar into a large bowl and whip with a whisk for about 5 minutes, or until it becomes whipped cream. 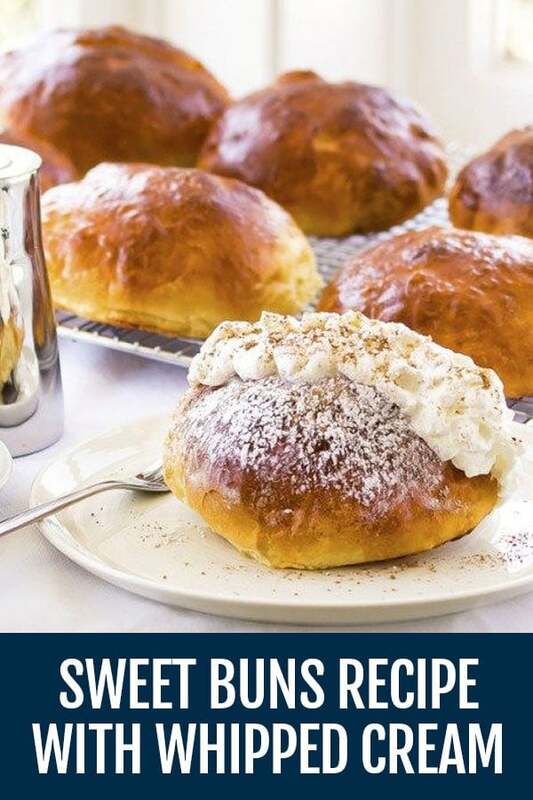 Slice each bun across the top, fill with fresh whipped cream, and top with additional powdered sugar and the cocoa powder.